I have had this mascara for some time now but never got around to actually opening it and testing it out. Sitting at my desk today and wondering what to blog about it popped in to my line of vision and I then reached for this gorgeous pink and red metallic tube, I knew it was going to be a good review. First off the design is gorgeous. The pink and red tube is SO eye catching (i’m guessing that’s the whole point) and the fact that it’s advertising that you can have fake looking eyelashes catches my eye even more. I do actually love this brush, I am usually quite a thick, clumpy brush kinda gal but, this mascara brush is pretty new to me and I really love it. Before I go any further let me just re-tell all newbies that me, Lauren, unlike a huge unpopular opinion, LOVES thick, spidery lashes. I know, that is awful and I know you may now look down on me but, I can’t help it. I love it and a mascara that doesn’t do just that isn’t that worthy of me. Let me just say it is quite sticky. 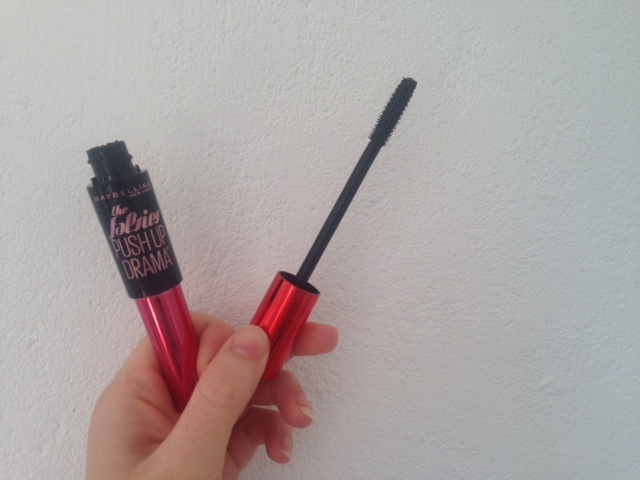 I have had it on for a good 10 minutes and it still is sticky, I am not too bothered but if quick drying is something you’re in to, this might not be the mascara for you. Bare in mind I have absolutely no makeup on apart from the push up drama mascara!! I personally, think it did make it look like my eye lashes were a little bit fake. If I had of had makeup on and some eyeliner I think it would look amazing. It is a little clumpy in places but nothing a few more strokes of the brush didn’t fix. I love this mascara. 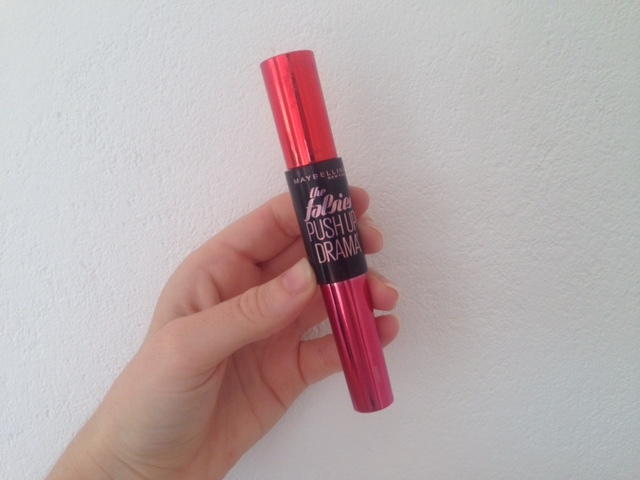 I have read a few bad reviews about it but, considering my mascara preferences I don’t really see a problem for me! I think the brush is amazing, I love the length and volume it gave me lashes and I also loved that it did give off a fake lash effect. I can understand how people are wary of it, considering it is quite sticky and does make your eyelashes clump in the first stroke but, I loved it. It really pushed up my lashes and made them seem bigger and better than they actually are. I also just tried removing it and it is quite tough but, again for how cheap it is and for what I like in a mascara it’s definitely a yes from me. You can check out this mascara by clicking here if you are in the EU and here if you are in the US! 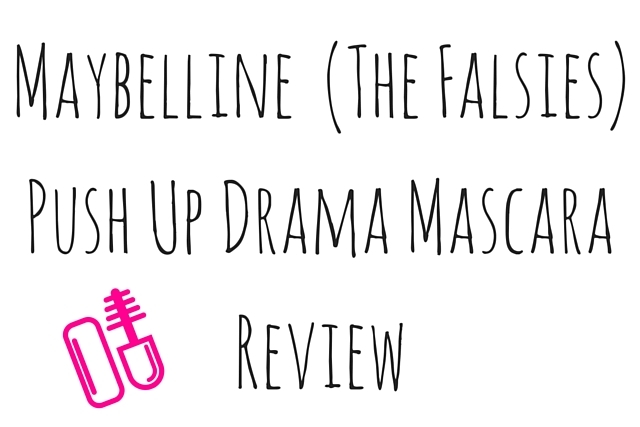 I hope you enjoyed this review on the push up drama mascara, if you did please let me know in the comments below and if you have tried it, let me know your thoughts!